No more compromising on inspection performance! The Visitab 2 is customized for 100% inspection of your tablets at high speed. Working with all tablet shapes and surface configurations, the Visitab 2 can detect the smallest defects and reject the defective tablets – enabling the batch to pass the most demanding AQL and ensuring top quality for your customers. The Visitab 2 is now equipped with the latest generation Blu-Ray laser technology, which provides extremely accurate 3D imaging for detecting fine embossing, cracks and chips. 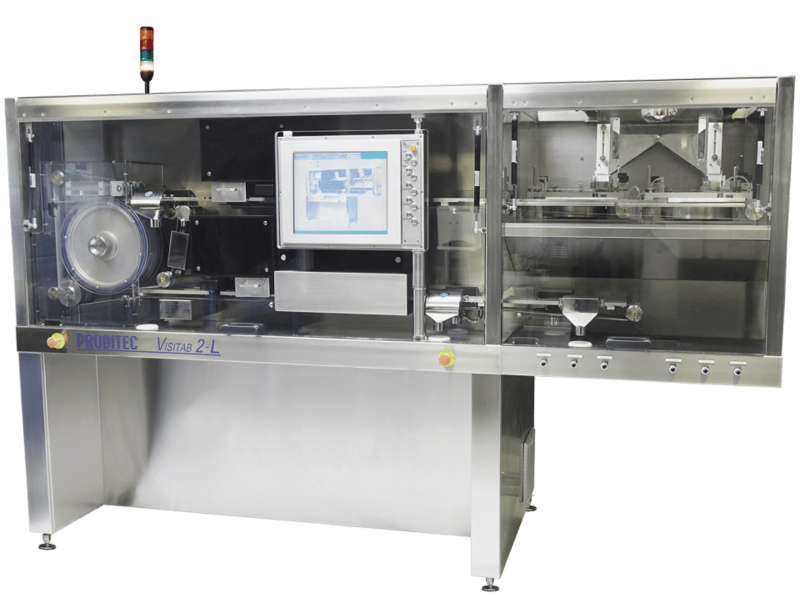 High throughput for all tablets shapes: oblong, oval, convex, etc. Want to know more about our products? Download our technical brochure.